A quick tip for quick lunchbox packing! 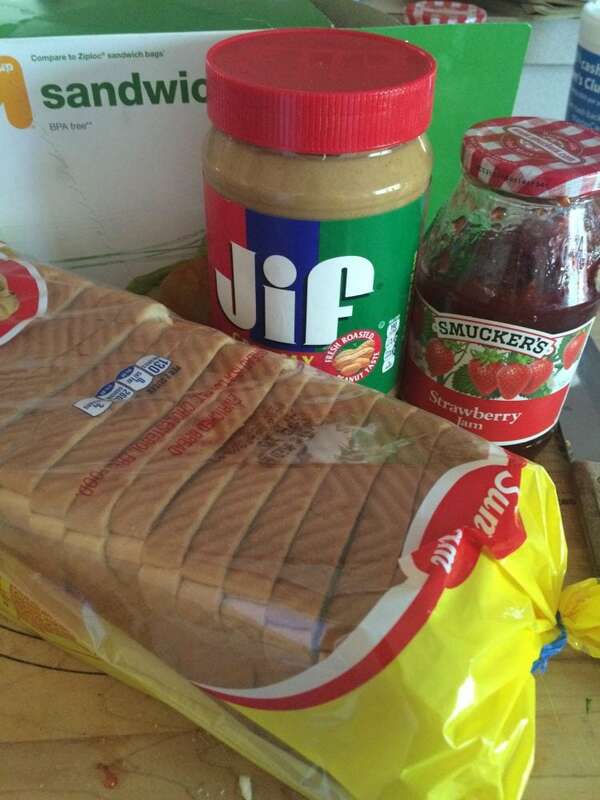 Learn how to make your own Frozen Peanut Butter & jelly Sandwiches. A huge money saver! This is one of my favorite tricks that I actually use all year long. Just not during school. We freeze peanut butter & jelly sandwiches. These Frozen Peanut Butter & Jelly Sandwiches are just like the store bought uncrustables, but better and much cheaper! As simple as it sounds I will buy an extra loaf of bread or 2 when it is on sale. I let the kids help me and we get an assembly line down making the Frozen Peanut Butter & Jelly Sandwiches. Depending on the size loaf you are going to get several sandwiches. I have even made them with gluten free bread. 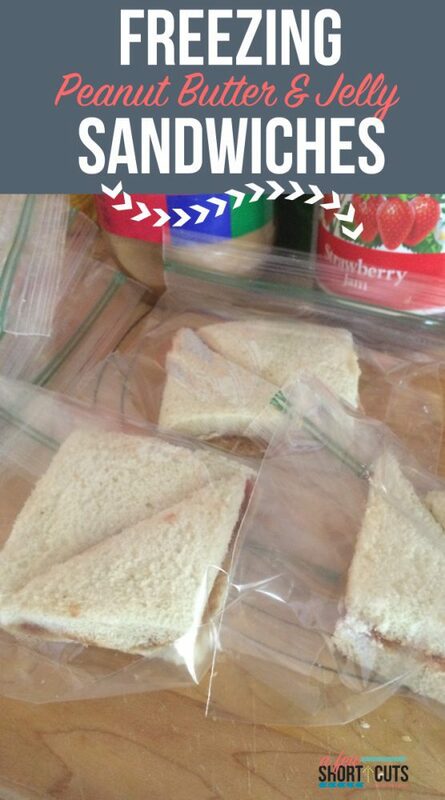 Put the sandwiches in ziploc bags. I just line the finished Frozen Peanut Butter and Jelly sandwiches up right in my freezer door. For those days when you are running behind packing lunch, or running out the door, just grab a sandwich or two. They will thaw out by the time you eat them. In fact, my daughter prefers them slightly frozen now. This is a great time/money saver for getting those lunches packed or on the table.